Burns Night: Various Burns Suppers, ceilidhs and similar celebrations take place around the city to celebrate the birth date of Scotland's National Bard, Robert Burns (1759-1796). International Science Festival: Founded in 1988, the Edinburgh Science Festival brings together a program of education and interactive activities for children, as well as events and talks for adults in around 30 venues across town. Beltane Fire Festival: On the last night of April and first day of May, up to 12,000 people take to Calton Hill for a ritualised and theatrical pantheistic celebration to mark the arrival of Summer. International Film Festival: This is the longest continuously run film festival in the world and takes place over a 12 day period in the second half of June. Jazz and Blues Festival: This annual festival runs the gamut of jazz persuasions from more traditional Dixie and ragtime bands to up-and-coming stars, from big band concerts to Latin dance music. The festival comes the month after the International Film Festival and starts off the August Festival season. Edinburgh Art Festival: This festival takes place in a circuit of 27 venues across the city, with exhibitions in major art galleries such as the Scottish National Gallery and Gallery of Modern Art and artist run spaces. Commercial galleries also participate, often with a focus on contemporary and emerging Scottish artists, while the Edinburgh Art Festival spices things up with commissions of public art. Edinburgh International Festival: Founded in 1947, this is a 'curated festival' where artists and companies participate by invitation only. As such, it prides itself on the internationally high standard of its performance and exhibitions. It incorporates music, theatre, opera, dance and visual art, and events are often focused around an idea chosen by the director. Fringe Festival: The world's largest arts festival, spanning 25 days and featuring over 3,000 shows. Established as an alternative to the Edinburgh International Festival, it is a showcase for the performing arts, with show categories including cabaret, children's shows, comedy, dance, physical theatre & circus, music, opera, spoken word and theatre. In additional to ticketed events, amateur street performances run each day of the festival, primarily on the Royal Mile. Edinburgh Military Tattoo: An unparalleled display of music, traditional dance and military precision performed by hundreds of bands from Scotland and around the world, set against the dramatic backdrop of Edinburgh Castle. This show sells out each year. International Book Festival: Housed in a temporary, tented village at Charlotte Square in the heart of Edinburgh's New Town, this is "the biggest festival of the written word in the world". It brings over 900 writers, poets, thinkers, politicians, photographers and artists from around the world to debate, discuss, and inspire. The book fest is free and includes a major program of children's book events. 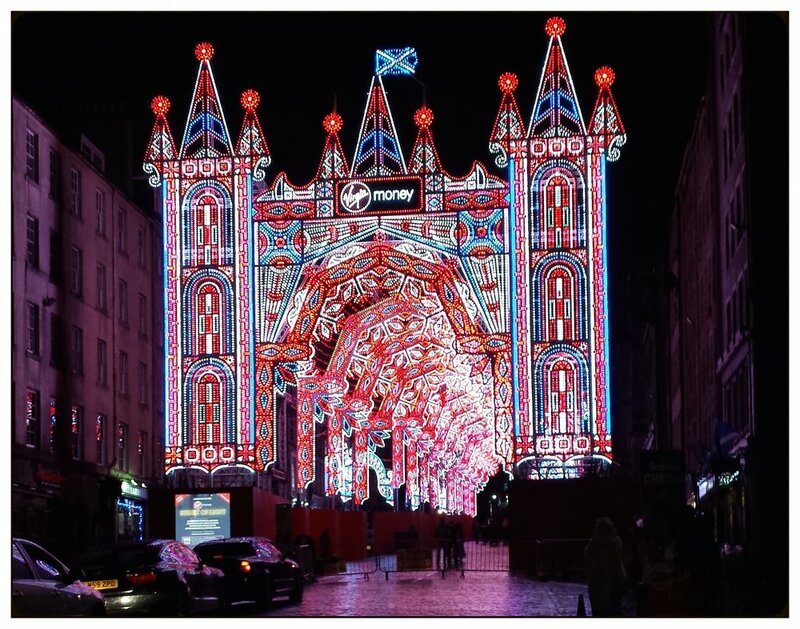 Edinburgh's Christmas is a spectacular, six-week season of festive entertainment in the heart of the city. 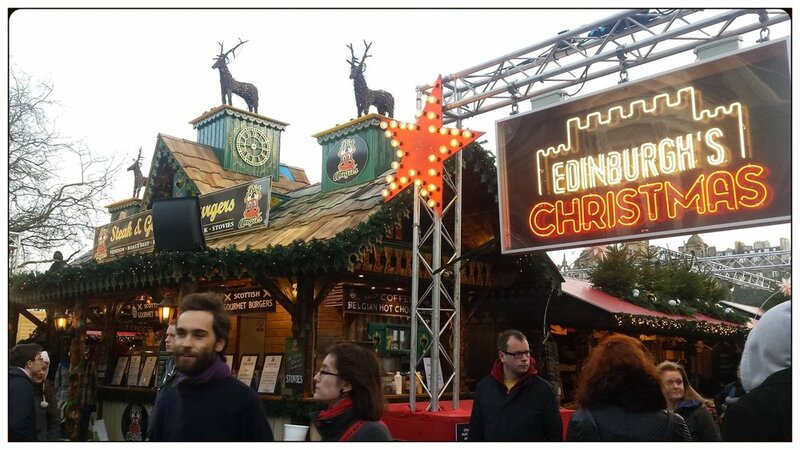 Taking place in St Andrew Square, Princes St Gardens and the Royal Mile, the festival features a host of shows in the beautiful Spiegeltent, as well as ice skating, and a german market filled with food, mulled wine and gift stalls. Brightly-lit rides, including the Big Wheel and the 60-metre Star Flyer, offer breathtaking views over the city. Hogmanay is a three-day winter festival that takes place at the end of each year. Highlights include the Torchlight Procession and Edinburgh's Hogmanay Street Party where 80,000 or so revelers jam into the city centre to enjoy live music and ring in the New Year. 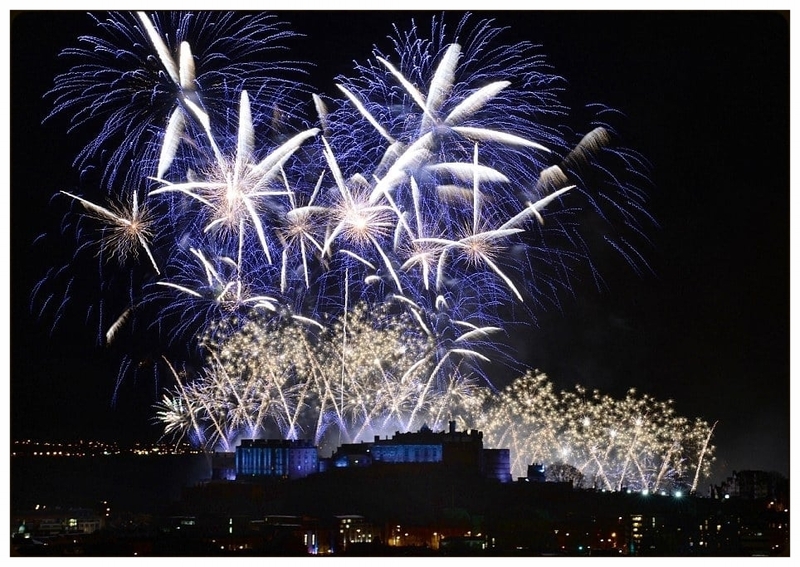 The fireworks display over Edinburgh Castle and Calton Hill are not to be missed.